We're at the end of the tour, and nobody has the key to get into the lethal-injection chamber. That seems a little ironic in the moment. It has been a long day at San Quentin State Prison for reporters and corrections staff alike. The four-hour media tour of the death row facilities has gone on for six hours, and along the way, all day, there have been skeleton-type keys opening big metal-and-concrete doors, numerous ID checks, sign-ins and sign-outs at the three facilities that house the nation's largest population of the condemned. And now here we are, about 20 members of the media and a handful of San Quentin prison officials, including warden Ronald Davis, milling around outside the door to the never-used lethal-injection chamber. Waiting. Lt. Samuel Robinson is the chief public information officer at San Quentin and has been our lead guide for the tour. Robinson says he worked on death row for 10 years before moving into his public-affairs role, and throughout the day he is greeted by inmates, a couple fist-bumping him as we make our way to and through the three areas that house the condemned: the Adjustment Center, the North Segregation Unit and the East Block, whose 520 beds house the majority of death row inmates at San Quentin. "They live in a world," Robinson tells reporters that morning, as he searches for the words, "an alternate world, the era when they left the streets . . . it freezes them in limbo." While we wait for the missing key to arrive, Robinson talks about how he was the corrections officer who handed off the last three condemned inmates to the team of officers charged with putting them to death. Robinson's last words to the inmates were always the same. "I wished them good luck." He defers on the question of his personal feelings about capital punishment. As a state worker, Robinson's not going there. He wished them good luck, that's all. And so it was that on Dec. 13, 2005, Crips co-founder Stanley "Tookie" Williams (who had been nominated five times for a Nobel Peace Prize and once for a Nobel Prize in literature) was executed. Triple-murderer Clarence Ray Allen was next; his luck, and his appeals, ran out on Jan. 17, 2006. A month later, Michael Morales was given the same send-off by Robinson and was scheduled to be put to death at 7:30pm on Feb. 21. Two hours before he was to be killed by lethal injection, federal judge Jeremy Fogel put a halt to the execution after court-appointed physicians refused to inject Morales with a lethal dose of intravenous barbiturates. It will be 10 years in February since Morales lucked out, and 10 years since anybody has been executed at San Quentin. San Quentin is a place of many contrasts, and one of the more starkly poignant examples I encounter on the Dec. 27 tour is the difference between how you access the death row facilities and how you access the lethal-injection chamber. It provides a handy metaphor for the status of capital punishment in California. Gaining access to the condemned men in their cells requires reporters to pass through a set of security gates, sally ports and various other clearances, ID checks and metal detectors. It takes a while, just as it takes a while—25 years, on average—from the time an inmate is convicted to when he is executed, leading to a broken capital punishment system that, in 2014, federal judge Cormac Carney said was effectively a "life sentence with the remote possibility of death," as he declared the California capital punishment regime cruel and unusual because of the delays. That ruling was vacated by the U.S Court of Appeals for the Ninth Circuit in San Francisco in November on technical grounds—even as it did not rule on the constitutional issue raised by Carney. Another hurdle, another gate to pass through before anyone is executed here. A proposed 2016 ballot initiative would recognize these costly and interminable delays that characterize the system, and end capital punishment outright. A similar ballot measure, Proposition 34, was beaten back by death-penalty advocates in 2012 by 52 to 48 percent. And yet to gain access to the lethal-injection chamber, they just open an innocuous-looking door that faces out to the pleasant San Quentin grounds, steps away from the employee canteen and just a few yards from the heavy-security main entrance—and you're in, just like that. A pro–death penalty referendum also scheduled for 2016 seeks to expedite the appeals process to get the executions flowing again. 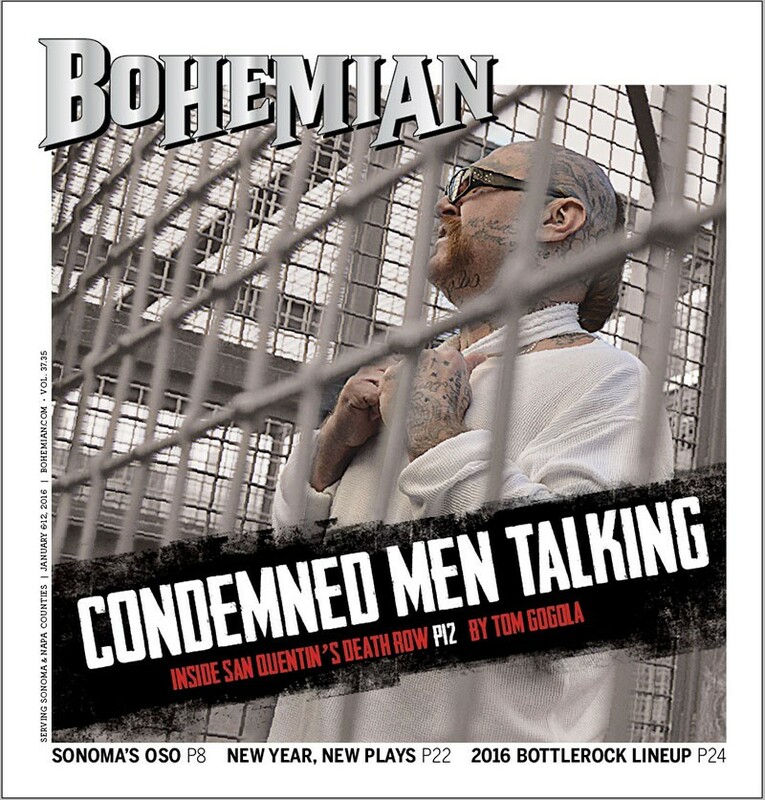 Meanwhile, 724 men (and counting) sit on death row at San Quentin. There are between 12 and 16 whose last appeals have been exhausted, says Robinson, but there's no time frame for the resumption of executions. "The if is the question."